Over the last few weeks I’ve been trying very hard to get some revision in every day. My end of year exam is fast approaching and I don’t want to have to resort to my childhood technique of cramming the night before. I’m too old and I’ve lost too many brain cells through alcohol abuse to even consider that a viable option. I’ll admit that the recent spate of warm weather has tempted me to stray into my local park, but not without several books and journals tucked firmly under my arm. It’s been heavenly sitting under the shade of trees revising, and believe it or not, I have been focused enough not to be distracted by the dog-walkers; winos, mothers with kids and afternoon-joggers. Some of London’s parks really are quite beautiful and my local, for what it is, does make me appreciate the green spaces we have in our ‘concrete jungle’. Trees are a precious commodity, especially for those species that inhabitat the rainforests. Deforestation is considered by most scientists to be the biggest anthropogenic threat to all species, especially tree-dwelling ones like primates. 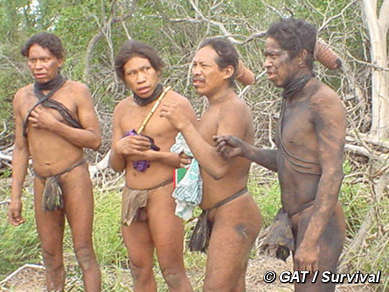 And the continued loss of forests is also threatening another group of primates, indigenous tribes people. 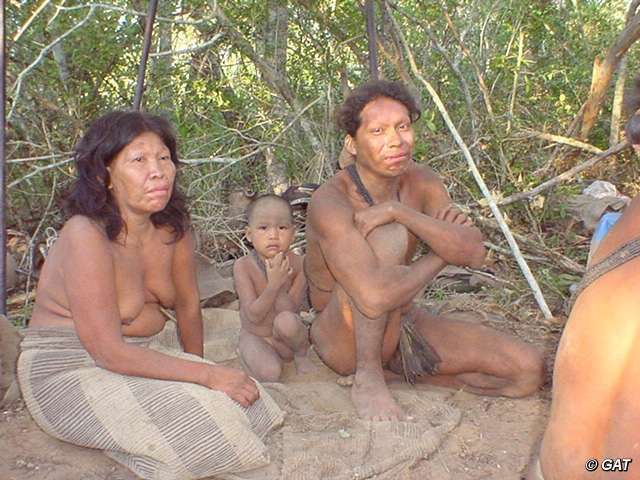 In Paraguay live the Ayoreo-Totobiegosode Indians. They are the last natives in the Americas living outside of the Amazon rainforest who do not have contact with the outside world, living a nomadic lifestyle in northwestern Chaco region. Earlier this week a local non-governmental organisation (NGO) filed a legal complaint with the environmental authorities over the destruction of forests in this region. The group says it has satellite images of this remote area where forests have been destroyed. The Support Group for the Totobiegosode (GAT) says 8,900 acres of virgin forest in land where Paraguay’s Ayoreos-Totobiegosode Indians live has been decimated. GAT alleges that two Brazilian cattle firms, River Plate and BBC S.A., are responsible for the destruction. The majority of the Indians’ ancestral land has been taken over by private landowners and now settled members of the tribe fear for the lives of their uncontacted relatives. The number of uncontacted Totobiegosode is unknown, but all of them are very vulnerable to any form of contact with outsiders, especially as they have not developed immunity to many diseases we’ve come into contact with. This is not the first time tribes have fought to cling onto their ancestral land from cattle ranchers; logging firms and agricultural companies. These battles are often long and drawn out and land already sold for conversion is rarely handed back to the indigenous people. The companies were allegedly extending their land for cattle ranching and violated Indian territory near the pantanal region, a vast wetlands area that extends into Brazil, Paraguay and Bolivia. The pantanal region is an area famous for its wildlife and has many endangered animals of high conservation interest such as the hyacinth macaw, jaguar, giant otter and marsh deer which can all be found there in healthy numbers. But if companies continue to erode the landscape, these numbers will inevitably be affected. Rivarola added that government officials had visited the site and confirmed the destruction of indigenous territory which “appears to be a violation of the law”. ← Is racism part of an evolutionary process?